Lululemon is scheduled to report fourth-quarter and full-year earnings results following Wednesday’s closing bell. Back in January, Lululemon preannounced the results. Shares of the athletic-apparel retailer have soared 73% over the past year, outpacing peers like Under Armour and Nike. 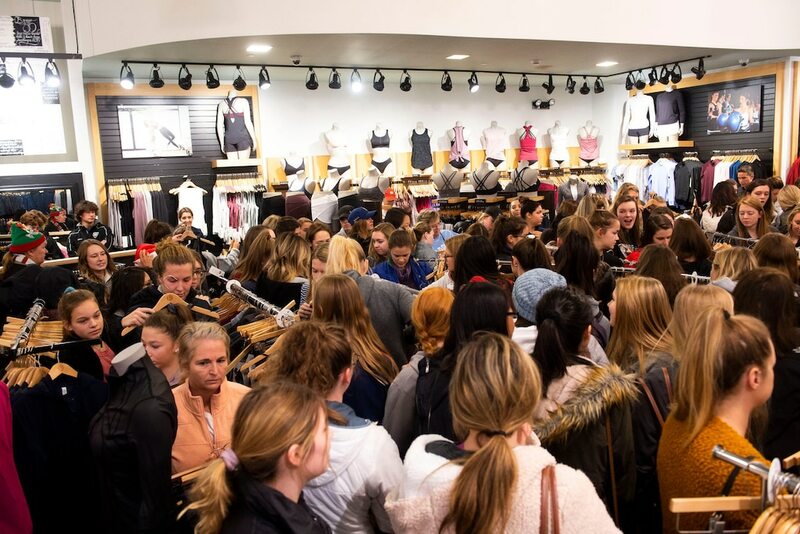 Analysts were optimistic about Lululemon‘s fourth-quarter results, expecting sales to come in above the company’s pre-announced guidance earlier this year. Here’s what analysts surveyed by Bloomberg were expecting. Adjusted earnings per share (EPS): $1.75. The athletic-apparel company said in a release back in January that it expected net revenue of between $1.14 billion and $1.15 billion, compared with its prior expectation of $1.115 billion and $1.125 billion. “Despite having already positively preannounced Q4 back in January, LULU could still manage to a comp/EPS beat,” Canaccord Genuity analyst Camilo Lyon said in a note to clients out Tuesday. Last quarter proved to be a mixed bag for the company. While Lululemon delivered results that beat out Wall Street estimates on both the top and bottom lines, shares fell due to the weaker-than-expected outlook. Those results, along with the updated guidance back in January, is why investors were focused on the company’s forward outlook in Wednesday’s report, said Deutsche Bank analysts led by Paul Trussell. “We remain confident in the company’s superior growth ahead with product innovation and expansion and a long international runway,” they wrote in a note to clients last week. 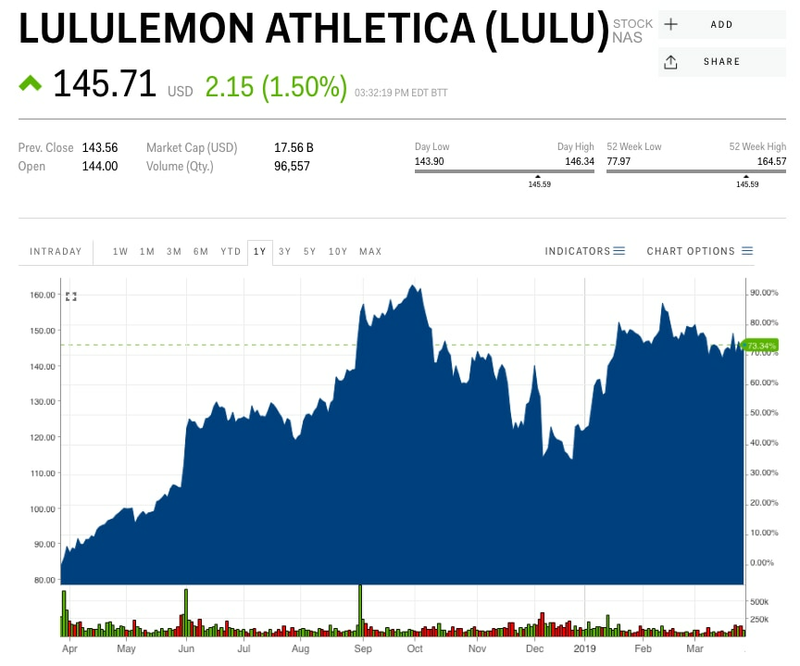 Lululemon was up 19% this year through Wednesday.